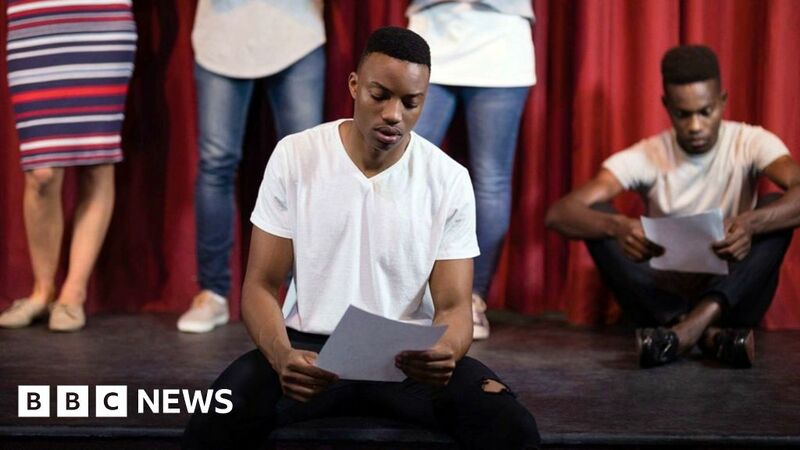 Almost two-thirds of performers (63%) earned less than £5,000 from their profession in the last year, a survey suggests. That’s an improvement on the 77% figure from a similar 2014 survey of actors, musicians and dancers by entertainment recruitment firm The Mandy Network. Actress Annameka Porter-Sinclair told the BBC she graduated from the Brit School in south London in 2006 and got a job as a film runner as she thought it might be a “back door” into the industry. But she then found she was “pigeonholed [in production]… so that was a fail”. “I got into this when I was 15, I’m 35 now, and I haven’t given up,” she says. “I’ve changed my agent recently. I’m not ashamed because I love what I do but I don’t have the things a normal adult would have at 35. The income is more at the level of a student/internship. She also says the industry is “a perfect breeding ground for mental health issues”. The report’s findings also indicate that some people working in the industry have mental health problems, with 63% of women and 48% of men surveyed struggling with anxiety. Annameka founded an actors’ society in 2009 and “invited a lot of casting directors, which was really helpful”. Phillip Large, chief executive of The Mandy Network, said the survey showed it’s still difficult to break into the industry if you don’t have other means of supporting yourself. “As this industry continues to draw criticism for its lack of diversity, too many of the meaningful job opportunities are still being handed out behind closed doors, while pay levels dictate that only the financially secure or those with other income streams can really afford to remain in the sector in the long term,” he said. A spokesperson for creative trade union Equity said: “Access to work in the entertainment and creative industries should be about talent. “Our industries will only thrive by attracting and retaining professional talent, regardless of background or circumstances.